Almost all of us look for nonverbal cues about what the other person is thinking or is about to say or how they are feeling. We often estimate correctly whether the person in front of us is lying or telling the truth. In fact, we often use the other person's gestures and body language to ascertain whether he or she can be trusted or not. This is what body language is all about. Simply put, body language is just the language of the body. People often think that they show emotions only through their face or through their facial expressions. But that is not the truth. While facial expressions do play a huge role, actually our entire body participates in showing or hiding our mental and emotional state. If there is something you would like to hide, you would not just need to control what you say or do, but you would also deal with the body's own unconscious cues. If you want to make a good first impression and you are nervous, your body could actually let you down. 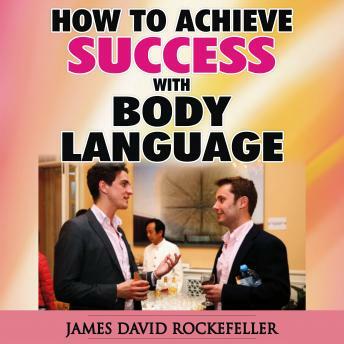 This guide is aimed at helping you understand what body language is and how you can use it to your own advantage. It will teach you that you can learn to read the non-verbal unconscious cues of others and be able to know more about them than what they reveal. You will also learn how you can control your own non-verbal cues to reveal exactly what you want and nothing more than that. Let's just begin learning this new language.